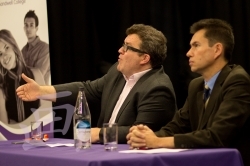 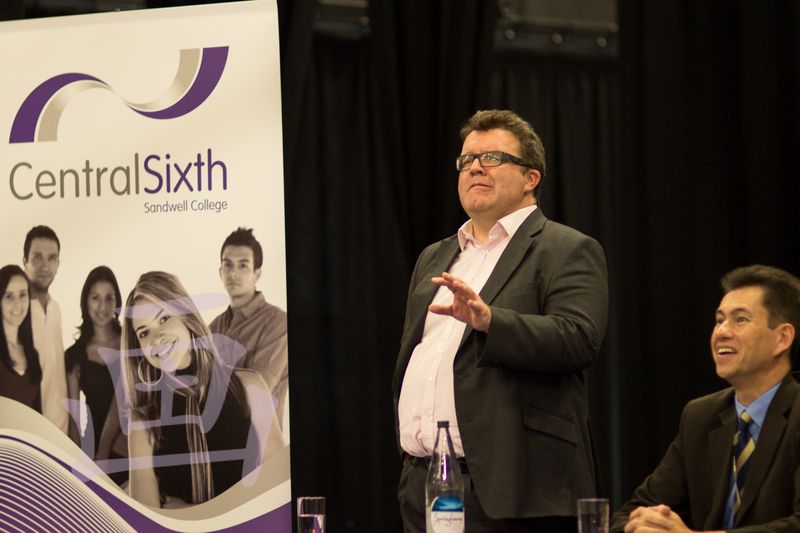 I was delighted to be asked to take some photos of a lecture Tom Watson – the local MP – gave to Sandwell College students. 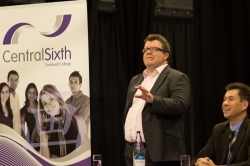 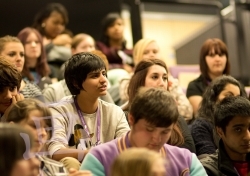 The audience was made up of students of the Central Sixth (the sixth form college) – mainly from the Politics and Journalism courses. It was quite informal, with a lively Q&A, when students asked about some of the ethical issues involved in the interaction between journalists and politicians. 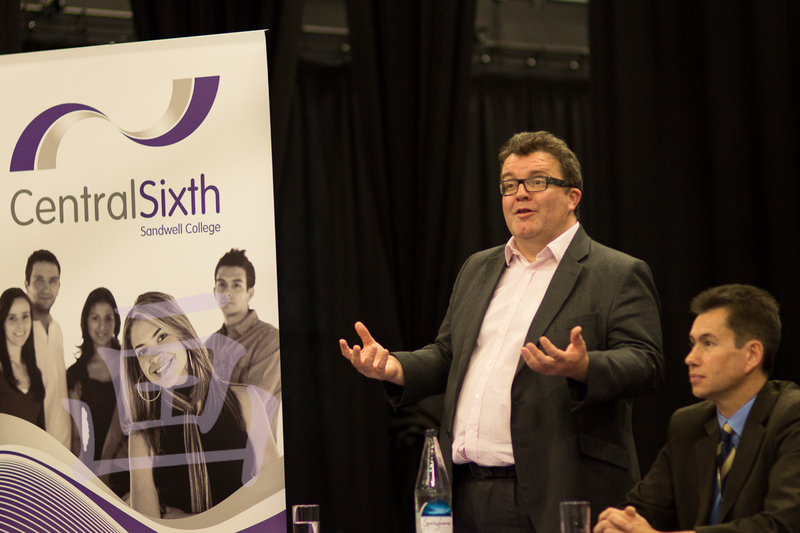 The closing message from Mr. Watson was to get involved in the process of politics. 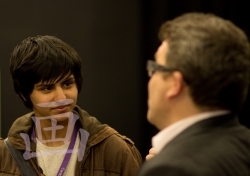 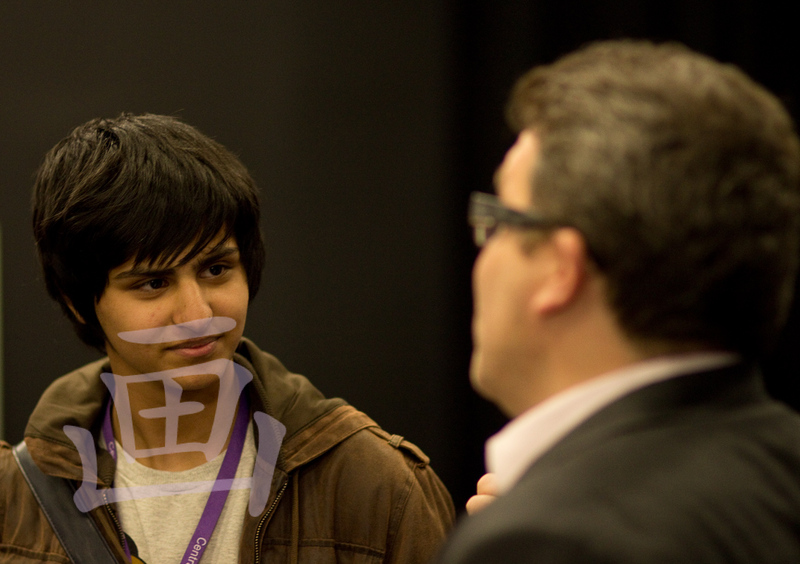 Some of these images were used in the Central Sixth prospectus, and on the College website.